Prof. Boer is an international expert on climate change. He has experiences in among others, developing carbon trading projects, GHG inventory and study on MRV setting in forestry and agriculture sectors. Aside from working in Indonesia, he has also been working in other countries, i.e: Cambodia, New Zealand, Ireland, Thailand, Philippines, Australia, Ukraine, India and Laos. 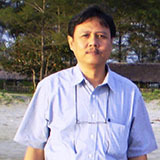 During 30 years of his work, he has been involved and led many national and international climate research programs including carbon issues such as preparation of PDD for activity of avoiding unplanned deforestation and enhancing carbon stock in Meru Betiri Conservation Area in 2012, assessment of reference emission level and potential REDD demonstration activities at East Kalimantan in 2008, and consolidate and prepare report on REDDI (Reduction Emission from Deforestation and Forest Degradation in Indonesia) in 2007. Prof Bram capacity is primarily on policy, institutional, and organizational aspects of governance in the field of natural resources, especially forestry sector. Associated with REDD +, Payment for Environmental Services (PES), Environmental and Natural Resource Economics, and Aspect Assessment, he has a lot of experience, including as an expert of institutional and specialist in policy. 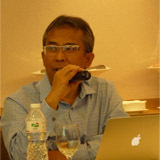 Dr. Sadelie’s capacities are mainly on natural resources management and social economy analysis, not only in forestry, but also in coastal area. 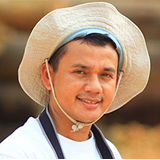 His main work is with EDECON Primamandiri, conducting Environmental Impact Assessment for plantations and industries. On REDD+ issue, he was involved in development of Feasibility Study for REDD in Sembilang National Park commissioned by JICA, and as resource person for development of CDM PDD in East Lombok. 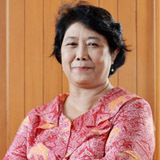 Dr. Retno's capacities was primarily in the energy sector. The main focus of his research conducted at this time include the Low Carbon Development Strategy in Energy Sector, Sustainable Process for Energy Development and Climate Change Mitigation, and Energy and Policy Model Development. A number of research projects have been carried out, in relation to climate change, energy efficiency, renewable energy, industry problems, and Chemical Process Engineering. Currently a lecturer in the Department of Chemical Engineering of Institute Technology Bandung and Head of the Center for Research on Energy Policy of Institute Technology Bandung. Mr Bukti's capacities was primarily in the field of landscape ecology and GIS. He has had a lot of experience in this field and have completed many projects related to GIS. Some of the locations of projects that are never addressed him, like in Riau, East Kalimantan, West Kalimantan, Central Kalimantan, South Sumatra, Aceh, Jambi, Riau Islands, West Sulawesi, and various other areas. 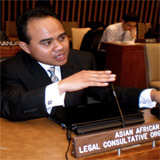 With more than 15 years of experience both as a corporate lawyer in the Indonesia and US-based law firms and a legal adviser in numerous public, private and international organizations, Andri is regarded as one of few legal experts on payment of environmental services (PES) and climate change-related financing projects in Indonesia. Having been actively involved in many climate research programs/projects from the preparation of PDD activity of certain climate projects to the design of some models for the architecture of national REDD+ financing mechanism. Andri has sufficient knowledge of legal issues and their relevant legal breakthroughs surrounding PES and climate-related financing in Indonesia. CIFOR and other institutions have published some of his international and national works. He was a recipient of the Sumitomo Bank Global Foundation, Inc. Scholarship (for his undergraduate program on law at the Faculty of Law, University of Indonesia), the Chevening scholarship (for his master program on international environmental law and policy in UK), and the Fulbright scholarship (for his doctorate program on climate change law and policy in US). 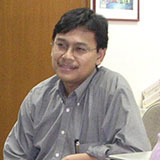 Bani Pamungkas is a public policy analyst with a legal educational background in state administration, a master of science on urban development studies and a master on public administration. His specialist is as a drafter of legislation, especially for preparation of local regulations. Bani has a strong mastery of decentralization issues, local governance, the strengthening of the functions of DPRD and urban policy. Experienced as a consultant and researcher on various research projects with local and international institutional partners. Has extensive network with government, politicians, and NGOs. Capabilities in governance and research projects as well as advocacy both at the stage of drafting, implementation, evaluation and finalization. Bani holds a Bachelor degree in Law Science with the specialization on Law of State Administration from Faculty of Law, University of Indonesia. Master degree obtained by Bani twice. The first Master of Science degree in Urban Development Studies from Graduate Program on University of Indonesia in 2007. Then, Master degree in Public Administration (MPA) from Lee Kuan Yew School of Public Policy, National University of Singapore in 2009. More than 15 years of working experience in forestry, in which half of it are on activities related to climate and forest analysis. 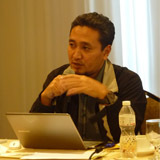 He has been involved in development of CDM, REDD+ and VCS projects. Ridwan also has qualification as Assessor for Sustainable Forest Management Certification in Timber Plantation and Timber Concession area. 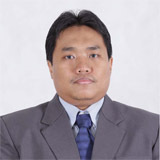 He also has long experience in studies of High Conservation Value for timber concession, timber plantation, and oil palm plantation area, in HCS studies, as well as development of Environmental Impact Assessment (AMDAL) in forestry sector. 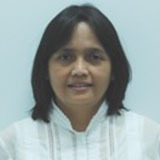 A regular contributor to the Green Indonesia and TROPIS magazine, as well as written many publications related to carbon forestry.